This meeting may go down as our fastest meeting yet! Even though it seemed to fly by, there are so many exciting events coming up! Some of you have already shared your Michael Miller challenge projects, and there are many more in the works. We can wait to see them all this summer – they’re looking wonderful so far. Don’t forget that the deadline has been extended to July 25th (yes!) 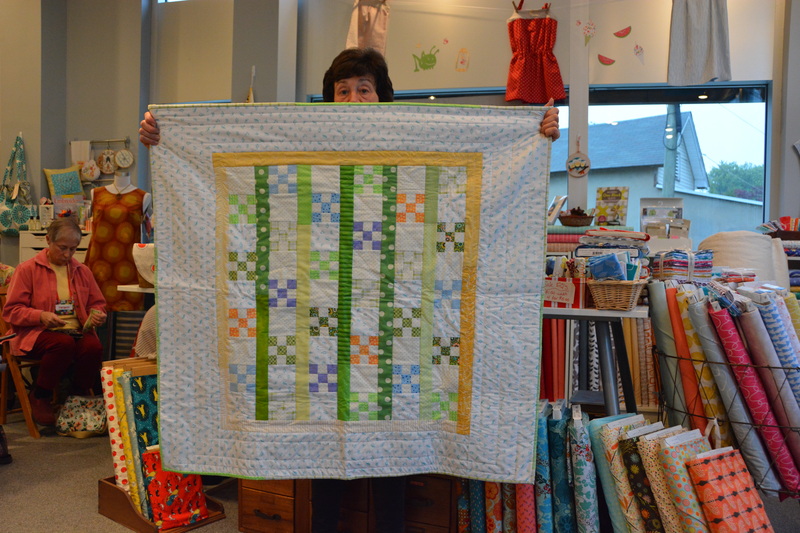 and that your project can be anything as long as it’s quilted! 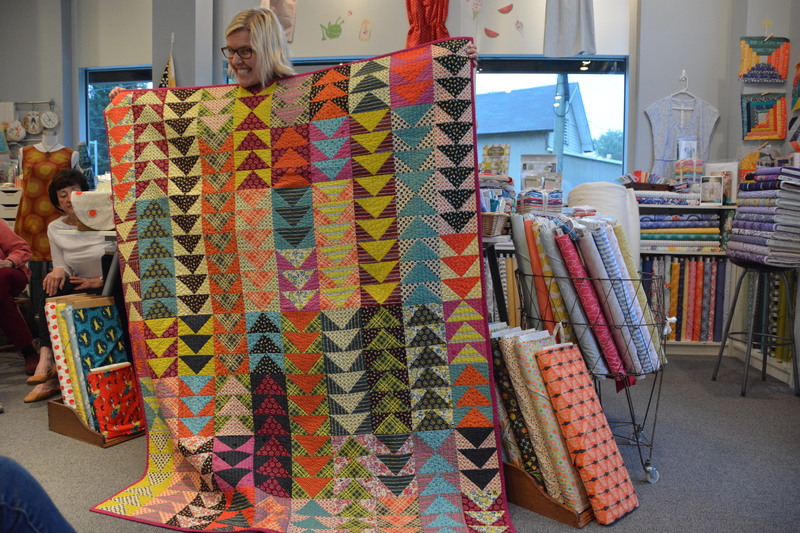 Of course, it has to be made with only Michael Miller fabrics – yes, even the solids! You can find more information here! Be sure to be present at our June meeting so that you can vote in the election for new guild officers. You must be present at the meeting to vote, and you must be a current member. 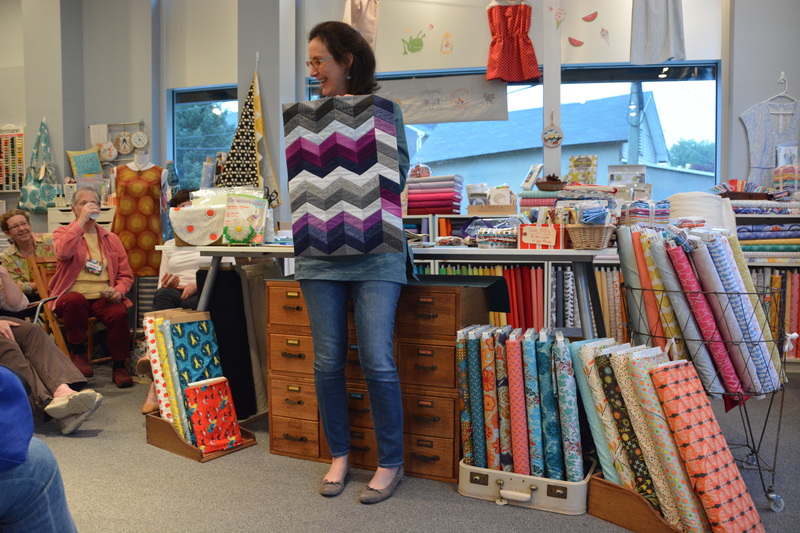 Do you have any radiant orchid fabric laying around? 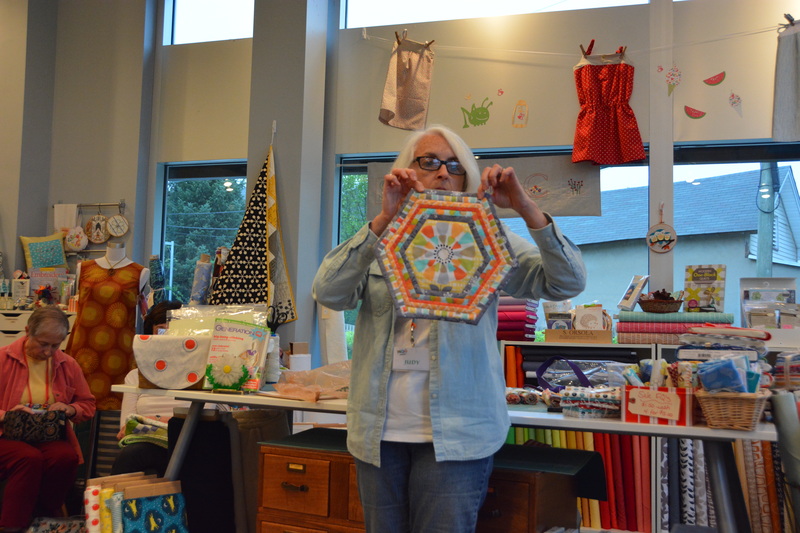 Make a mug rug! 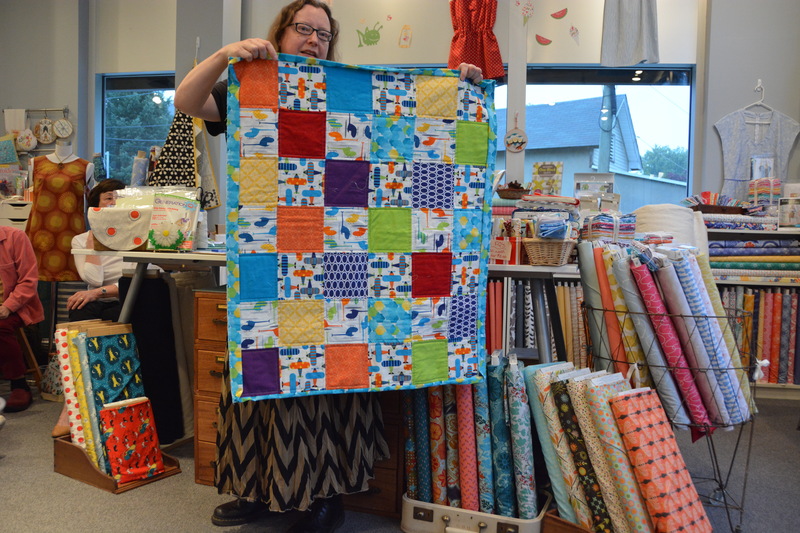 Anyone who brings a mug rug made in radiant orchid fabric will walk away with a new mug rug made with love from another member! Be sure to check out more information here! 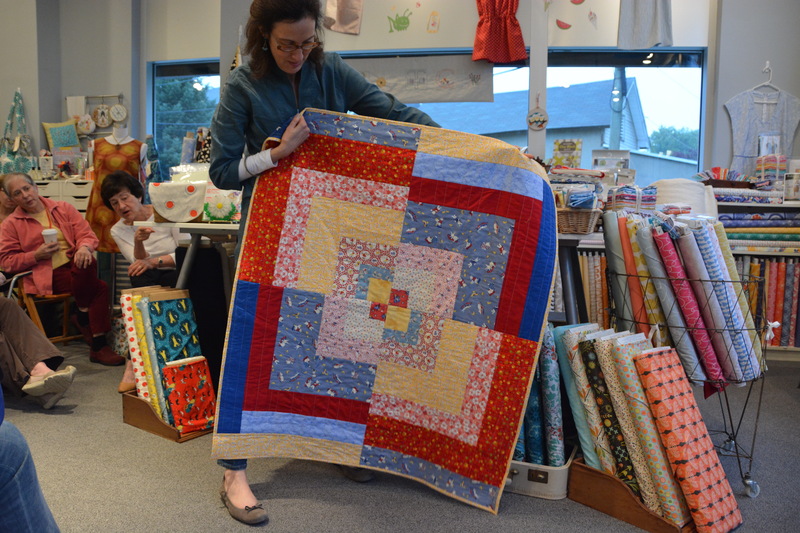 The July Meeting will be help on July 12th from noon to 3 at the West Caldwell Church LDS so that we can finish up our charity quilts from March madness, enjoy each others company, and perhaps eat some more Monkey Bread! Now, check out the projects that were shared! See you at the June meeting! Looks great! Awesome show and tell! 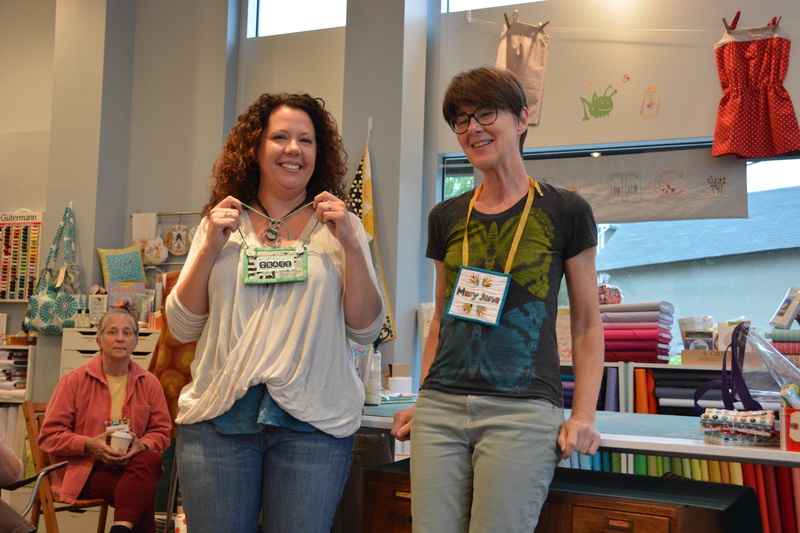 For our April 18 meeting, don’t forget to bring your ugly/unloved fat quarter for our April fool exchange and your favorite ruler for Rulerpalooza. 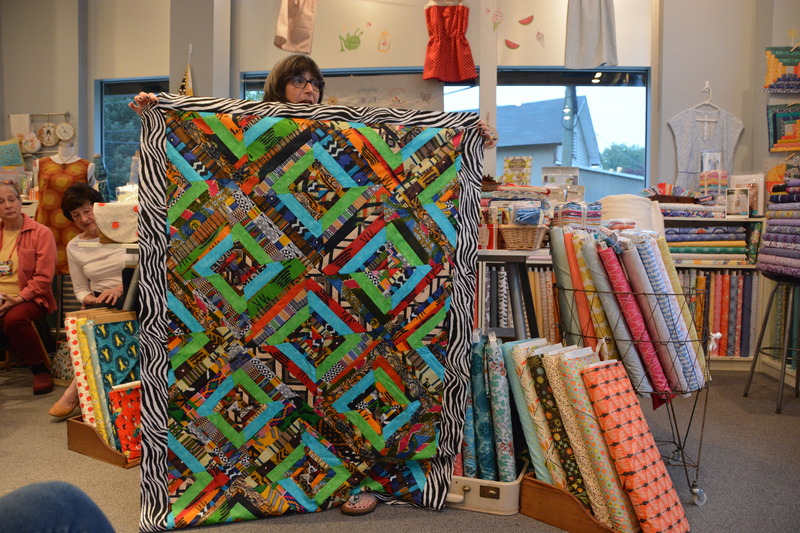 Look at this profile of our superquilter @betsy.vinegrad in the May/June issue of @quiltmakermag ! 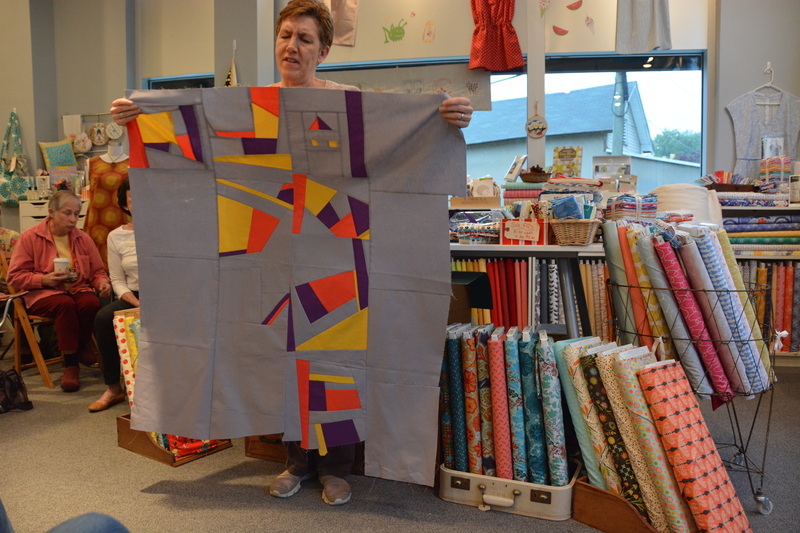 Now you too can make Betsy’s Modern Mandala quilt. We had fun at our meeting last night. A spring tea party (although it didn’t feel like spring) Here we are showing off some of our log cabin blocks!